Durable as they are, a little TLC here and there during your Fatyaking™ career will help the boat last for a lifetime of enjoyment out on the waves. 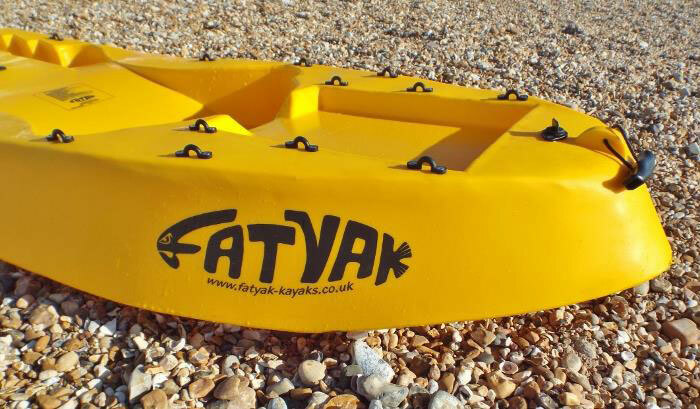 Fatyak™ Kayaks are manufactured from our specially formulated Medium Density Polyethylene; a very durable material with a somewhat flexible memory, meaning it has a tendency to return to its original shape if it becomes distorted. Also, ours has an ultraviolet inhibitor blended in with it, helping to resist colour fade and maintain strength. Regardless, the occasional once-over will help to nip any problems in the bud before they develop into a serious issue, potentially hindering the performance and the safety of your boat. For example – check the Neoprene dry-hatch covers for wear and tear; check that they seal properly over the hatch and haven’t become worn or damaged, or your dry-hatch storage could end up being more of a water tank! Cables, buckles, and straps need to be checked for wear and tear, and replaced when necessary, in order to keep you and your equipment safely held on top of the boat when you’re out in the waves. If you need help with replacing any parts, feel free to contact us for some advice! Give your hull and deck a good, thorough review at least once a year to look for any deep wounds or scratches. A few scrapes, light scratches, or nicks are signs of normal wear and tear that would be expected from use on beaches and in the sea; but anything serious, or anything that looks like it could hinder normal operation needs to be repaired. If in doubt, get in touch. Lastly, while your kayak is designed to require minimal maintenance, it’s always a good idea to rinse your boat and any hardware after you’ve been in salt, brackish, or polluted water. Use mild soap and water and then rinse when complete. After drying your kayak, store it on its side under some form of shelter from the elements, particularly avoiding excessive heat build-up from the sun. 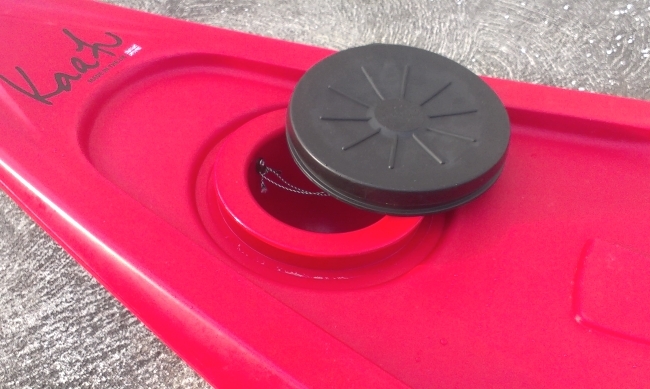 If you can, store it inside for the winter, else use a mooring cover. This entry was posted in Hints and Tips, Uncategorized and tagged fatyak caring wash washing storage clean damage repair. Bookmark the permalink.